As the moon traverses across Libra for the next 3 days (Monday, Tuesday, and Wednesday) it will favor cooperation, compromise, social activities, balance, friendship, and partnership. This is a great time to work with others on a project, finalize a contract, or go out and hang with friends. On Thursday the moon will enter Scorpio and remain there until Friday. Scorpio increases your psychic awareness and it tends to make people very secretive. Their minds are also known to be active, shrewd, and intuitive. They are ruled by the Moon, which influences their emotions and intuitive behaviors. 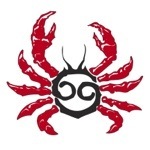 The symbol they are associated with is the Crab, which defines some of their behaviors. Think of the crab with its hard exterior and soft flesh, which recedes into its shell at the first sign of danger. The part of the body that is ruled by Cancer is the breasts and stomach. They love to eat and some may fight weight gain later in life. Emotional stress and tension may cause them to experience digestive issues. Be Your Best is written to help you live each day to the fullest by using the universes’ influences in your favor. This entry was posted in Self Help and tagged calendar, libra, moon, self help, Zodiac.